It is so strange how a smell can bring back a lot of memories from your childhood. During the Eid el Adha I went to a sweet shop to buy something, and I saw and smelt Namoura. I remembered when I was young, a vendor used to come to our neighborhood with his trolley selling Namoura and we loved eating it with our hands. As I grew up it was one of the first sweet recipes I learnt from my mother. 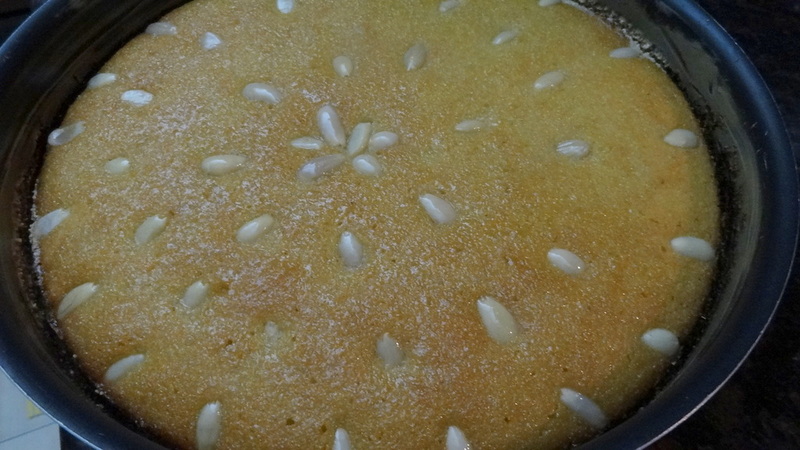 This is an egg free, butter free Lebanese cake, that can be made on any occasion and can last for quite a while time without any alteration to the taste.